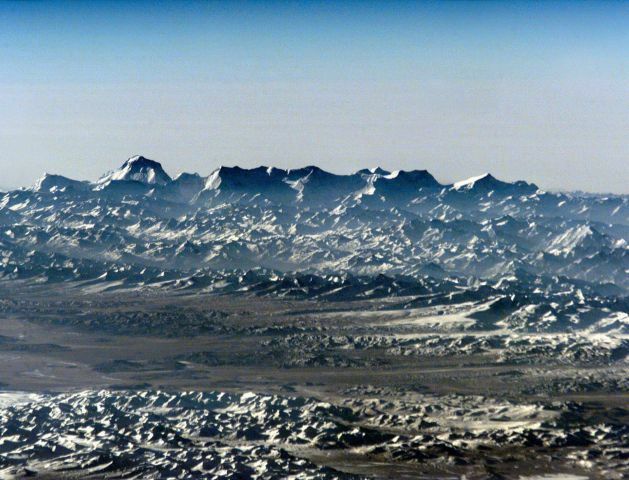 Explanation: This stunning aerial view shows the rugged snow covered peaks of a Himalayan mountain range in Nepal. 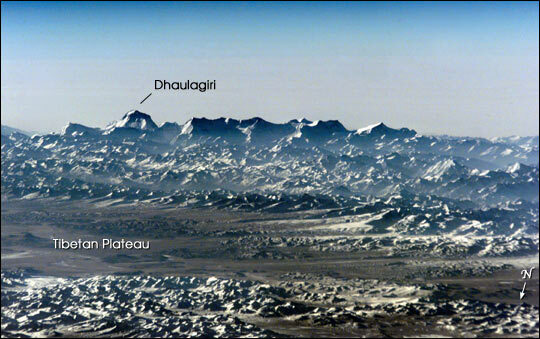 The seventh-highest peak on the planet, Dhaulagiri, is the high point on the horizon at the left while in the foreground lies the southern Tibetan Plateau of China. But, contrary to appearances, this picture wasn't taken from an airliner cruising at 30,000 feet. Instead it was taken with a 35mm camera and telephoto lens by the Expedition 1 crew aboard the International Space Station -- orbiting 200 nautical miles above the Earth. The Himalayan mountains were created by crustal plate tectonics on planet Earth some 70 million years ago, as the Indian plate began a collision with the Eurasian plate. 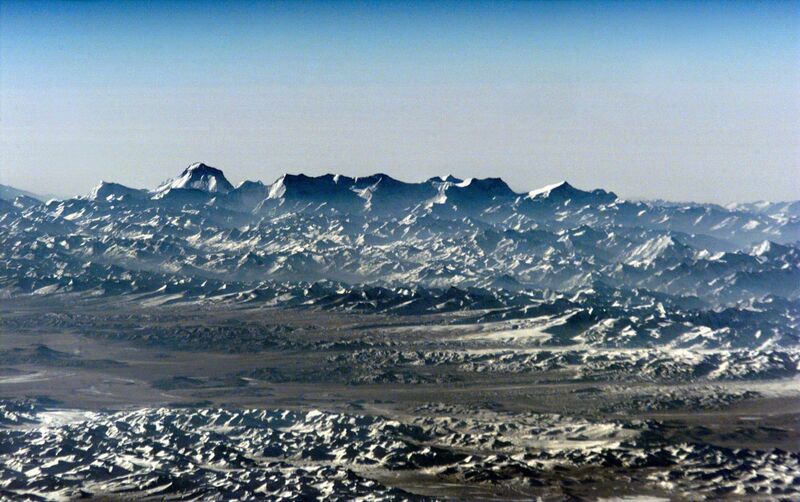 Himalayan uplift still continues today at a rate of a few millimeters per year.